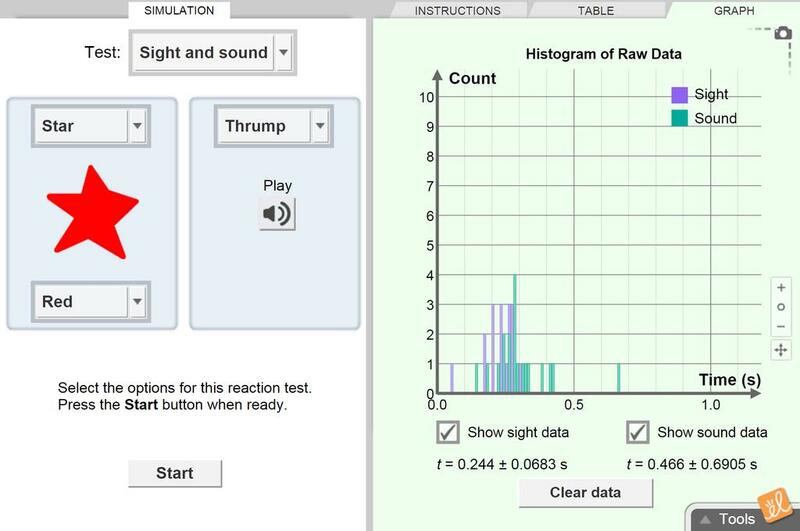 Measure your reaction time by clicking your mouse as quickly as possible when visual or auditory stimuli are presented. The individual response times are recorded, as well as the mean and standard deviation for each test. A histogram of data shows overall trends in sight and sound response times. The type of test as well as the symbols and sounds used are chosen by the user. A basic handout that can be used along with this gizmo.